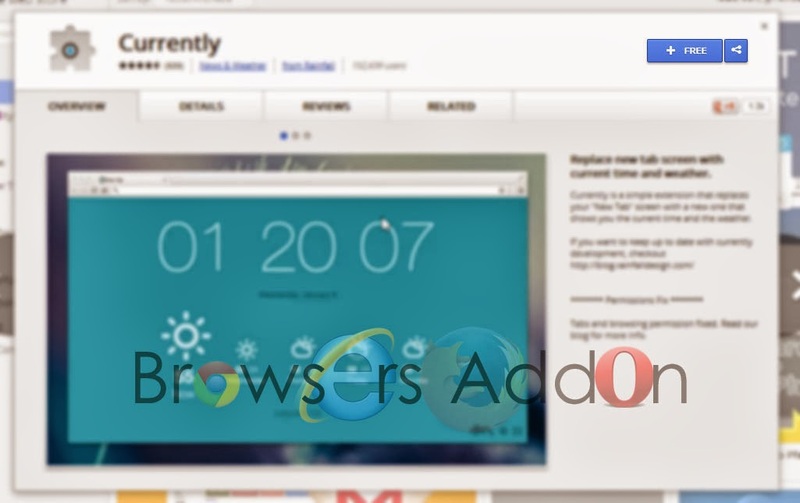 Currently is an extension developed by Vitaly Babiy and Henry Modisett for Google Chrome which displays Time and Weather Information on opening a new tab on Google Chrome. This is a simple extension with gorgeous and minimalistic UI. Only backdrop of this extension is that you will be missing speed dials and its a bit slow sometimes while loading. 1. Go to Chrome web store an search for Currently, or simple click on the above download link and click on “FREE (ADD TO CHROME)“. 3. 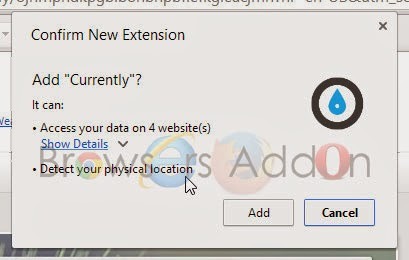 Now, Currenlty icon with message pop up appears at upper right corner of browser, indicating that the extension has successfully integrated with the Chrome. 1. After installing the extension, you will be seeing this page. 2. Click on the settings which appears at lower left side of the browser to change preferences. 2. Now, un-tick the Currently to temporarily disable the extension. Click on the dustbin icon and you will be greeted with pop-up, click “Remove” to remove the extension from Google Chrome. Get Previews (Thumbnails) When Searching with Google, Yahoo!, Bing and DuckDuckGo with SearchPreview. 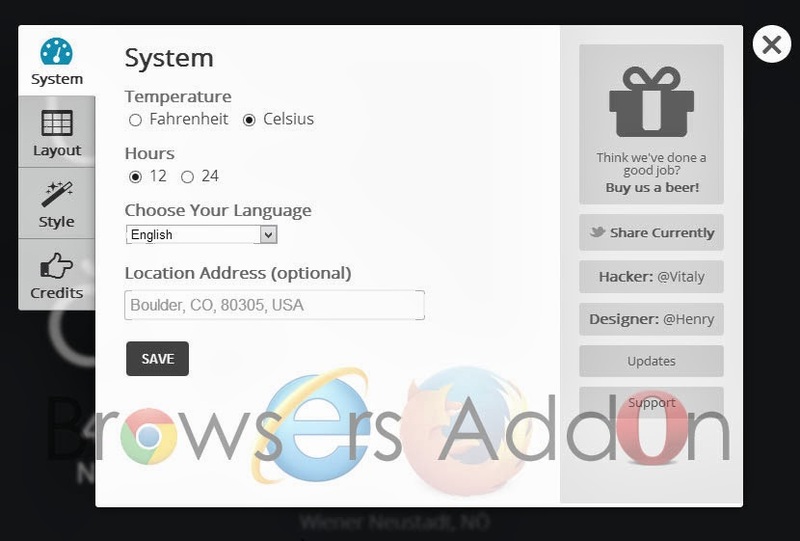 Next story Get Anonymous without Proxies with AnonymoX Addon for Mozilla Firefox. Previous story How to Edit Default Search Engines in Google Chrome with One Click. Dodge/Bypass/Skip Link Protectors With Desprotetor de Links For Chrome. 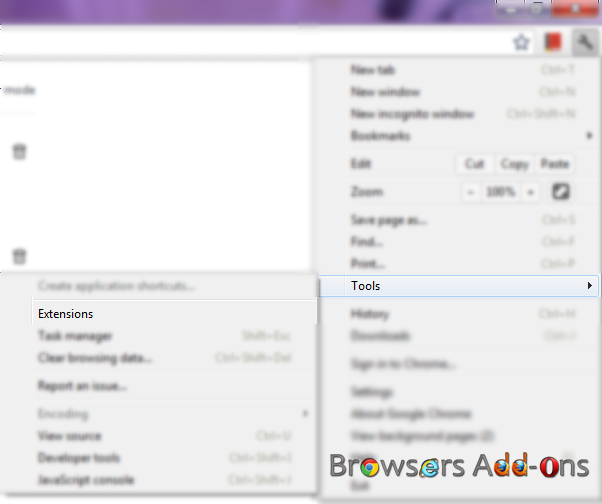 New Tab Plus, a Must Add-on to Customize Speed Dial, Tabs for Mozilla Firefox.